With the summer culinary season in full swing, there’s no simpler way to add that gourmet touch than pulling out Tnuva’s popular Parmesan Cheese Shaker. 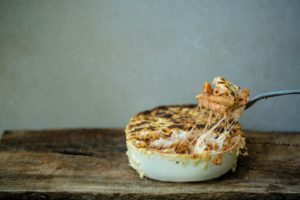 Liberally sprinkle the contents onto pasta dishes, pizzas, salads, soups, casseroles to make them wow the crowds. 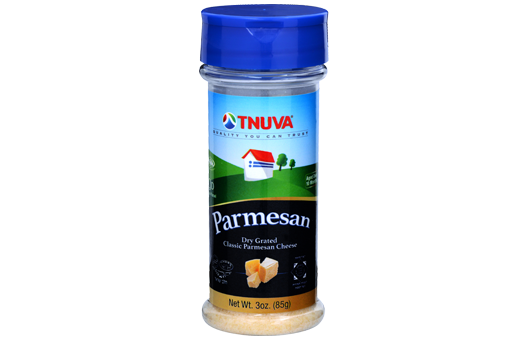 The grated cheese in the easy-to-use re-sealable shaker with two openings for convenient dispensing, is made from the finest ingredients highlighted by classic parmesan cheese produced in an artisanal manner with zero trans-fat and sugar. “Based on the feedback we have received from consumers, the Parmesan Cheese Shaker has rapidly become one of our most popular items because of its great taste and quality, as well as its practicality in the kitchen,” added Yoram Behiri, President and CEO of Tnuva USA. Tnuva’s Parmesan Cheese Shaker, which is available at area supermarkets features the renowned Vaad Mehadrin, OU (Orthodox Union) and NSK (New Square) hashgachas.